Who might take over for Paul Ossmann as CBS46's chief meteorologist? Two insiders are certainly in the running if they want it but news director Steve Doerr might have his eyes on someone outside the station. 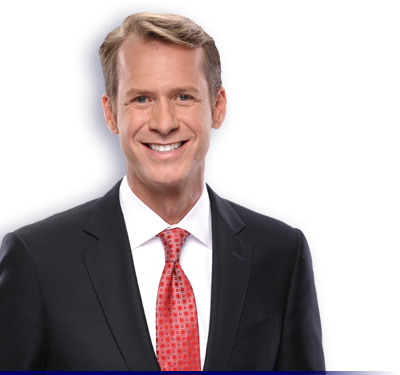 While Paul Ossmann’s sudden ouster from CBS46 this past week remains a mystery, the next question is: who will take over as the station’s chief meteorologist? Ossmann, who joined WGCL in 2012, was an inside hire. CBS46’s Steve Doerr, news director since the summer of 2017, could give the chief meteorology post to Ella Dorsey, who is currently filling in during weekday evenings. A 2013 University of Georgia graduate, Dorsey came to the station three years ago and has been the weekend meteorologist. At UGA, she received a Franklin College of Arts bachelors degree in geography and a certificate in atmospheric sciences. She is a certified meteorologist. Another option is morning meteorologist Jennifer Valdez, arguably CBS46’s best-known personality, surviving a revolving door of management and anchor shifts over the past decade. She has been forecasting during mornings her entire run there. CBS actively promotes Valdez during prime-time. Valdez, who has degrees from the University of Florida (Bachelors in communications) and Mississippi University (Masters in geoscience), is married with two young children. Doerr, who has been in various TV-related management roles for 20-plus years, could also bring in someone from the outside as a way to make his mark on the station. CBS46, which is owned by Meredith, has had three chief meteorologists this decade and will likely have a fourth before the year is out. Ossmann held the position for less than two years. Before him was Jim Kosek for three years while Markina Brown held that job from 2010 to 2014. Both were outside hires by previous news directors. Kosek, by the way, now works as chief meteorologist at the Columbus station WLTZ-FM. Brown is now acting. In the late 2000s, Dagmar Midcap was the evening weather forecaster and WGCL promoted her on billboards. But she didn’t have a meteorology degree. She left for personal reasons in 2010. She has been working at NBC 7 in San Diego since 2011.